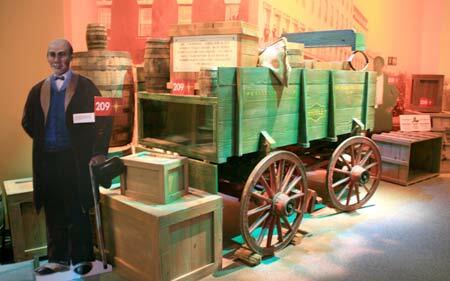 The new Freedom Center located in downtown Cincinnati presents dramatic stories of the Underground Railroad. The new 158,000 square foot building opened in 2004 with the goal of telling the story of America's struggle for freedom through exhibits and programs focusing on our fight against slavery. The Freedom Center's focus is on displaying the extent of the Underground Railroad throughout the country prior to the Civil War. There are 5 permanent exhibitions with a changing schedule of exhibits and activities. The Freedom Center has an expansive gift shop offering a wide array of materials and merchandise relating to slavery, the Underground Railroad, and the black experience. There is also a cafe that is open for lunch on Tuesdays through Sunday. Visitors to the Freedom Center are given an informative audio tour player that users can type in a number corresponding to a display number to hear additional information about that particular aspect of the display. On the second floor is a log building called a "Slave Pen" that has survived the years. The building was a gift from the Raymond Evers family farm in Mason County Kentucky. The Slave Pen was first built in the early 1800s and used as a holding pen to keep slaves that were being transported further south for sale. In 1808 purchasing African slaves was banned, but that did not stop the sale of slaves already living in the United States. This internal slave trade greatly expanded as cotton in the south grew in demand for the growing country. Slaves that were once used on Mid-Atlantic farms were sold to the plantation farms in the deep south. This relocation process setup the need for slave pens where large numbers of slaves could be temporarily held as they were being relocated. Open Tuesday - Sunday 11:00 a.m. - 5:00 p.m.
During the 1800s, estimates suggest more than 100,000 slaves sought freedom through the Underground Railroad. It wasn't a real railroad with tracks and trains. The Underground Railroad was a term used to describe the secret routes salves took to gain their freedom and the people that helped move them from safe house to safe house on their journey to freedom. The underground network had several branches and extended from the deep South to states and territories where slavery had been prohibited of which Ohio was a primary escape route. 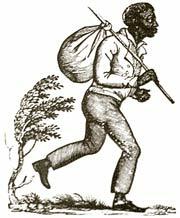 Since slave owners were allowed to retrieve their slaves even in free states, many of those fleeing kept moving until they reached Canada or Mexico, two nations that had abolished slavery.